An Innovation idea simplifies your work. Unique Magic Ribs is added on universal Star Bits to fit screws even exactly. 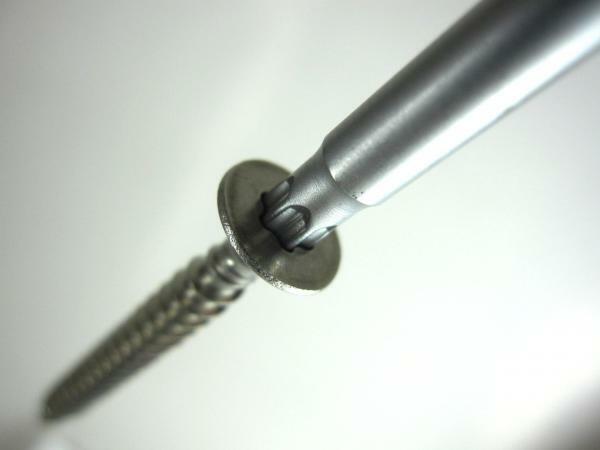 As Anti-Cam-Out Ribs function, Magic Ribs is able to grip screws tightly without slipping. Molded by froging technology process, Magic Ribs tip fits screws more precisely, and you are able to operate it by single hand. Star Ball End, also formed by forging technology, allows you to fasten screws at a 25-degree angle to access narrow space easily, and spin screws in & out quickly.